Bernard Fianku is our incredible Ghana Country Director for the Touch A Life Care Center in Kumasi. We asked him to tell us about how he came to work with Touch A Life and what a typical day is like for him at the Care Center. Here is Bernard’s story! I was born in a small village along Lake Volta. It was there that I learned how to fish. At the age of nine years, I was sent to live with an aunt and her husband, and I was subjected to child labor. My education came to a halt. I later came to live with my mum and her husband in Accra and continued schooling. A few years after, I had to go to live with my father, a man who I never knew until I was 16 years old. I continued my schooling in that difficult situation until I completed my Senior High education and soon came back to lived my mum in Accra. 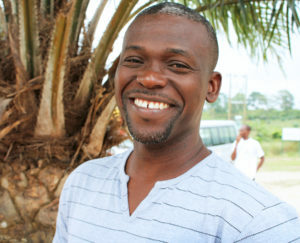 In Accra, I did a lot to earn an income and was able to move out to be on my own. My family was quite dysfunctional and therefore, I did not have much of a childhood. I went on to attend International Theological Seminary where I studied faith-based counseling in addition to biblical studies. I earned a diploma in counseling and certificate in addiction therapy, grief therapy, behavioral therapy and others. I later went to the University of Ghana to study economics and sociology. In terms of my job, I was a part of the staff at Every Child Ministries (a child sponsorship program) in 2001 and became program director in 2003. I was then a director of Haven Of Hope (the orphanage run by Every Child Ministries) in 2004 and a director of Haven of Hope Academy in 2006 until I resigned in 2008. 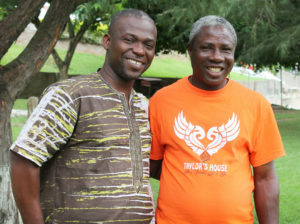 The same year, I worked as program director for Beacon House (an orphanage in Accra) until June of this year. In 2009, I met Pam Cope and subsequently, she wanted me to assist the Touch A Life Ghana team with some paperwork. Later, I helped some Touch A Life families adopt children from Ghana. 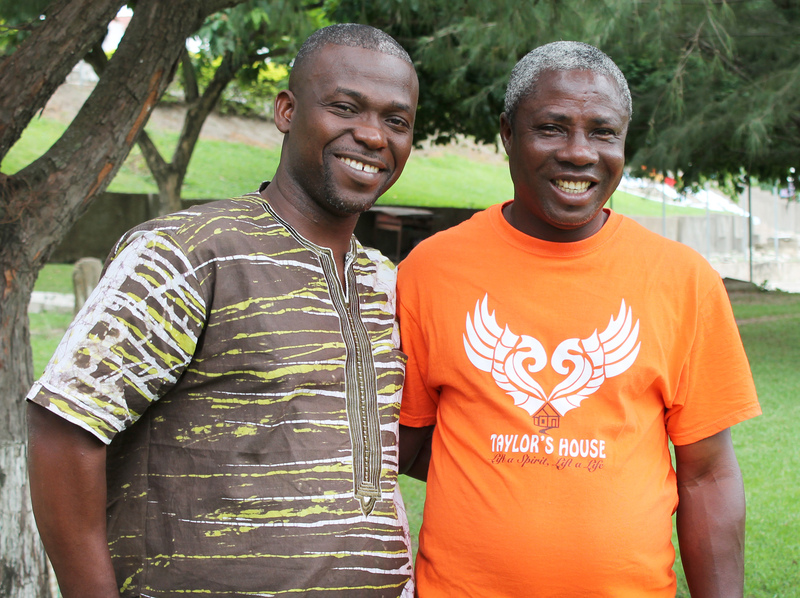 This spring, I was offered the opportunity to head Touch A Life Ghana. I’m able to relate to the children very well. I had a similar experience in terms of fishing as child – though in my case, I was not forced into it. Nevertheless I was impacted by child labor in another field. It affected my childhood life, but fortunately for these children, and for me, we were given a better opportunities to achieve a better future. Before I set out from my room at the Care Center each day, I create my to-do list. This helps me identify what activities I need to engage in each day. As a leader, my plans can change at anytime depending on the priority of other goals from staff members or government officials. I enjoy working with the local staff, as interaction with them helps me to plan well. The most exciting part of my role is interacting with the children. I listen a lot and speak as little as possible. This allows me to sort information that I’m gathering. My job is to guide these wonderful children to realize the great potential buried within them. I am here to help them make wise career choices and to understand that there are consequences to actions. They should believe in themselves and have faith in God. With the necessary logistics and resources, we can all help shape these children into great adults. In my spare time, I like to be alone, so I do a lot of brainstorming. Sometimes I read books that interest me, listen to news around the world, or watch criminal investigation programs. I also spend time playing and interacting with the street children in the community. We are are so grateful to have Bernard on staff, caring for our children and their futures. You can read more about our Care Center in Ghana.